STEM (Science Technology Engineer Math) is in our everyday life. The more kids see them, the more they participate activities involving STEM, the more chance they will like them and be good at them. We have been sharing many STEM activities at iGameMom. Each time we try to share activities for a wide age range, from toddler and preschooler to school age. Today we focus on STEM activities for preschoolers and toddlers. One of our favorite activity is microwave Ivory soap. It is easy, all you need is Ivory soap and microwave. You probably have seen a lot milk painting activities on the web. It is easy, it is magic. All you need is milk, dish soap, and food color. But I like this version adding actually painting on paper, so kids can have a keepsake for the fun activity. Marble Run is another fun one young children can do. 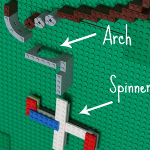 This one made of LEGO, but you can also make one with paper towel rolls. Write names with salt and water color not only teach science, but also can help kids learn letters and words. Kids always like to play spy. Why not make some secret messages with them? You will need lemon or milk, and a candle. That is it. Make music with bottles is a fun way to explore sound. You will need several glass bottles and water. Do you preschoolers like cup cakes? You can do some cup cake matching games with them. Play dough is fun to play, and it is even more fun if you add some color mixing into it. Color mix play dough is great for fine motor and kids will learn about color too. Collect some buttons and make a button board, it can be used as a geoboard. 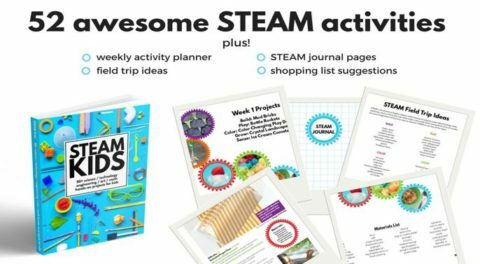 For more STEM activity ideas, check out STEAM Kids. It is an eBook written by a group educators and engineers with well designed STEAM (Science Technology Engineer Art Math) activities for kids. There are 52 activities in the book, one for each week of the year. Each activity has extension ideas. The material lists and shopping lists are very helpful when you plan the activities. The step by step guides make it easier for parents and teachers. 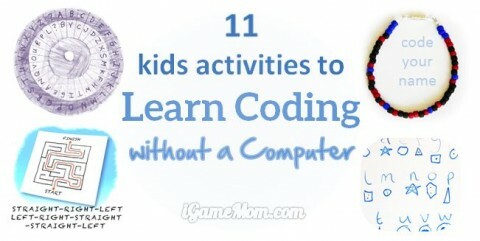 For more STEM activities for kids, visit 11 activities to teaching kids coding without a computer and 150 Kitchen STEM Activities for Kids.